My oldest graduated from Kindergarten this week and I couldn’t pass up the chance to bake some cupcakes for the celebration party. In the process I learned that you can make and ice about 60 mini cupcakes from a standard boxed cake mix and tub of frosting. 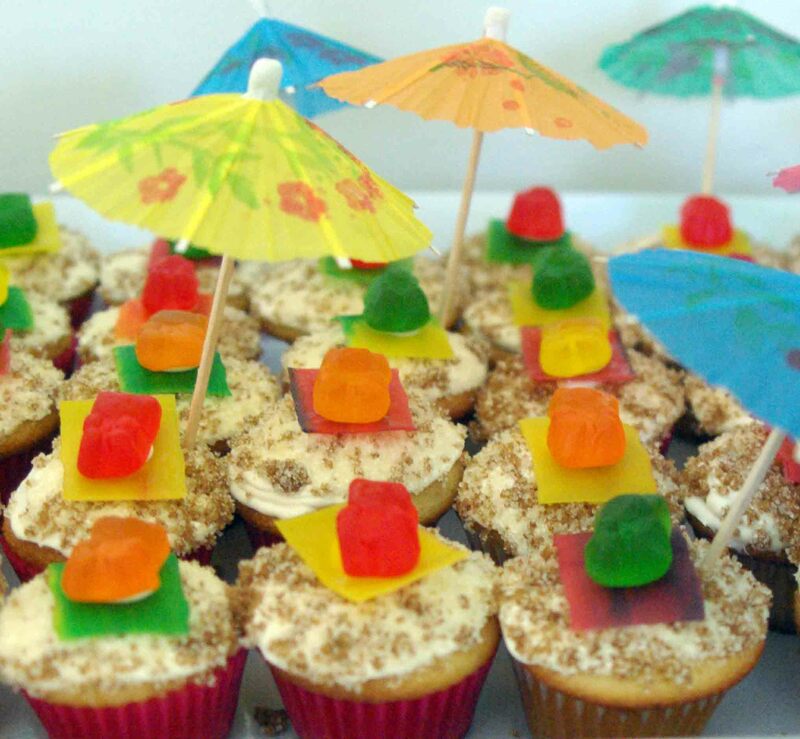 These bathing beauties were vanilla cupcakes with cream cheese frosting, dipped in light and dark brown (sand) sugar. Topped with a strip of fruit roll-up for the towel and a gummy bear. Garnished with a paper parasol these were a hit with the kiddies. Previous Article How are you? No really how are you? Nicely done. Cute!! Love it!! Please check out my blog, share your thoughts and follow! Following, I love the canvas shoes. Thanks I did, following you on Bloglovin.